Huge price reduction!! Pride of ownership shows with this meticulously maintained, one owner Del Construction built home. Situated on almost an acre in Delwood Estates. This home has something for everyone! Features include an open concept floor plan with vaulted ceilings, large master ensuite with separate shower, tub and dual sinks. Main floor laundry, basement has family room with gas fireplace, 4th bedroom, full bath, large bonus room/office and storage room. 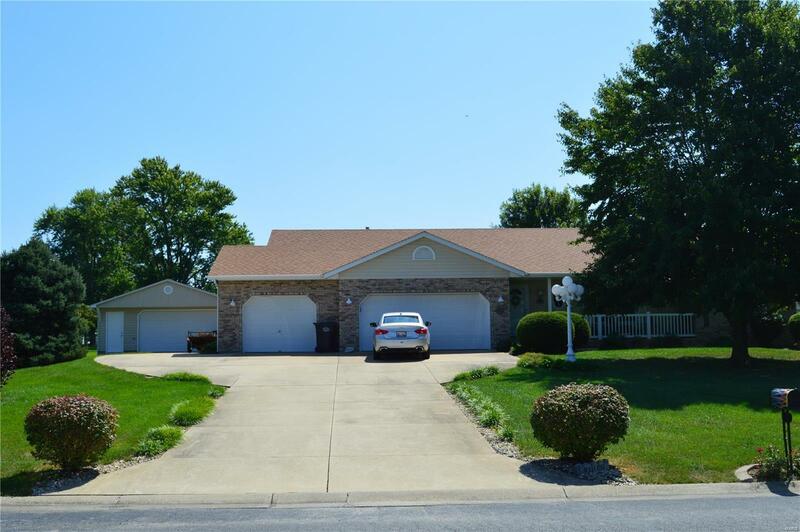 Other features include oversized 24 x 32 detached heated and cooled 2 car garage, 3 car attached garage, new roof 2017 with 50 year shingles, whole house vac, new main level flooring and recently updated main floor full bath. This home is not just a drive by. 45 minutes to downtown St Louis and close to 255.